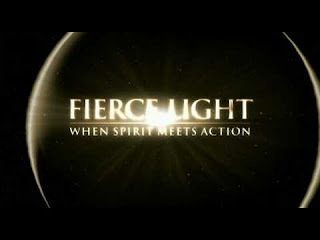 The Film "Fierce Light" continues the quest for a fusion between spirituality and activism previously explored in Velcrow Ripper's award-winning feature documentary ScaredSacred (Special Jury Prize, Toronto International Film Festival). The 2006 demise of friend and fellow media-activist Brad Will in protest-torn Oaxaca, Mexico, is the impetus for Ripper's journey, which takes him to the flash points of spiritual activism around the world, including Montgomery, Alabama; Robben Island, South Africa; Andrah, India; Ho Chi Minh City, Vietnam; and South Central Los Angeles, where a months-long protest against the razing of a vital community garden provides a highly dramatic spine for the wide-ranging film. En route, Ripper encounters a number of eloquent icons, including American Civil Rights legend Congressman John Lewis, actor turned activist Daryl Hannah, Nobel prize winner Archbishop Desmond Tutu, Pulitzer Prize Winning Author Alice Walker, Buddhist peace activist monk Thich Nhat Hahn, famed tree sitter Julia Butterfly Hill, and dharma punk, Noah Levine. Ripper discovers what Paul Hawken (author “Blessed Unrest”) describes as the largest global movement in history - thousands of individuals and organizations connected by a shared commitment to compassionate, positive action. Alice Walker calls it "a human sunrise" - Ripper calls it "Fierce Light." 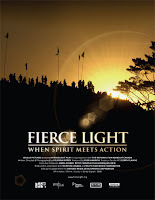 With stunning cinematography, a compelling soundtrack, and dramatic stories of resistance and transformation, FIERCE LIGHT: When Spirit Meets Action reveals what is possible when human beings, faced with a world in crisis, rise to their absolute best. Understanding Oneness : The Essence of our Inter-Connectedness ! ScaredSacred The Movie ... Revealing The Light ! The Story of a Mystical & Diverse India !